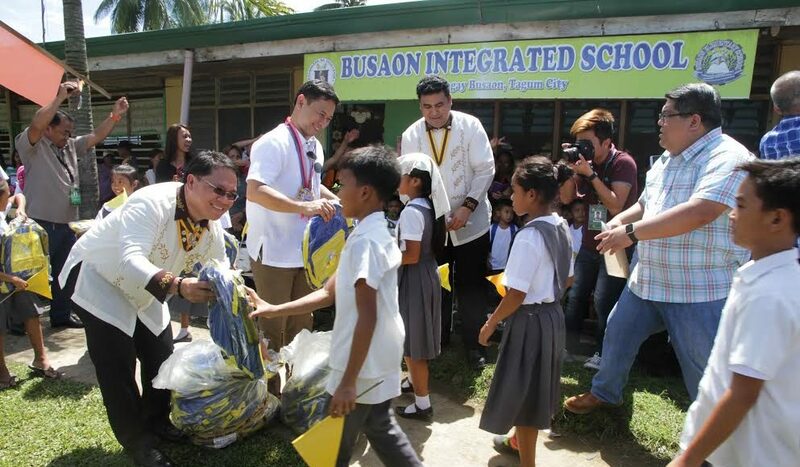 Senator Sonny Angara on Monday said Tagum City is a stark contrast to the common picture people think about progressive cities, underscoring that despite its development the city’s environs are still visibly clean and green. “When you think of a city ang iniisip mo ma-traffic, madumi, may basura, ito ang exact opposite” Sen. Angara said in an interview with the City Information Office. 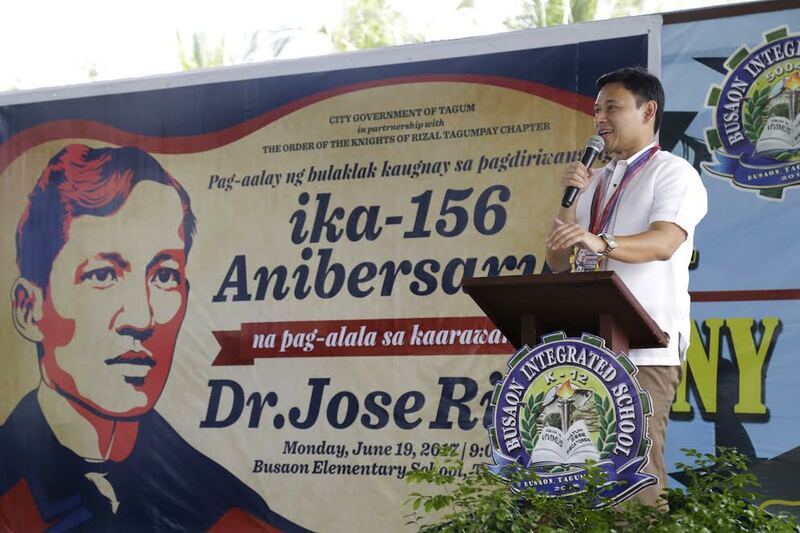 Sen. Angara is the guest of honor and speaker at the city’s celebration of the 156th birth anniversary of Dr. Jose Rizal held in Busaon Integrated School (BIS) last June 19, 2017. 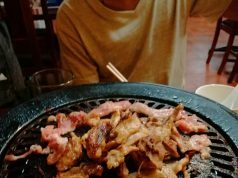 “Very progressive, very nice surroundings, very green and very clean, hindi ‘yong pangkaraniwang city,” the senator remarked. Sen. Angara likewise emphasized during the program that was organized by the City Government of Tagum Rizal’s “peaceful resistance” to foreign rule which became one of the foundations of the Filipino nation to achieve independence. 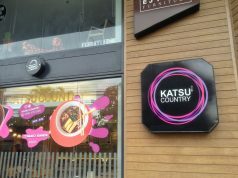 He also urged the Tagumenyo crowd to get involved in collaborative endeavors as way of spurring growth and development. “We can achieve great things kung magsama-sama tayo at hindi natin iniiwan ang isa’t isa sa ating komunidad,” the senator said. Sen. Angara led the wreath laying ceremony at the school’s monument of heroes to honor Dr. Rizal. He was joined by Mayor Allan Rellon and some members of the three local chapters of the Order of the Knights of Rizal and Kababaihang Rizalista. 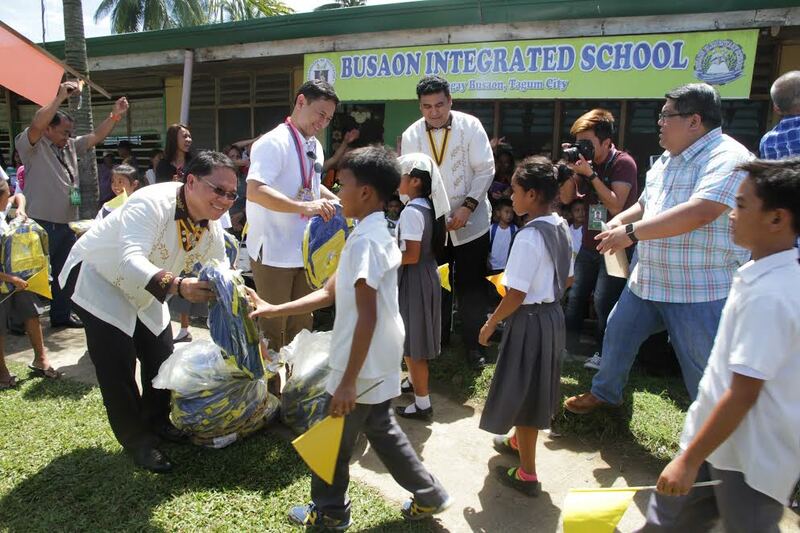 After the program, Sen. Angara and Mayor Rellon distributed school supplies to some 500 students of Busaon Integrated School (BIS). The former also led the induction of the student-officers of the Kabataang Pangarap ni Rizal (KAPARIZ) of BIS. It was the first time for Barangay Busaon to be visited by a senator and the first for Tagum City to celebrate the birth anniversary of the country’s foremost hero.